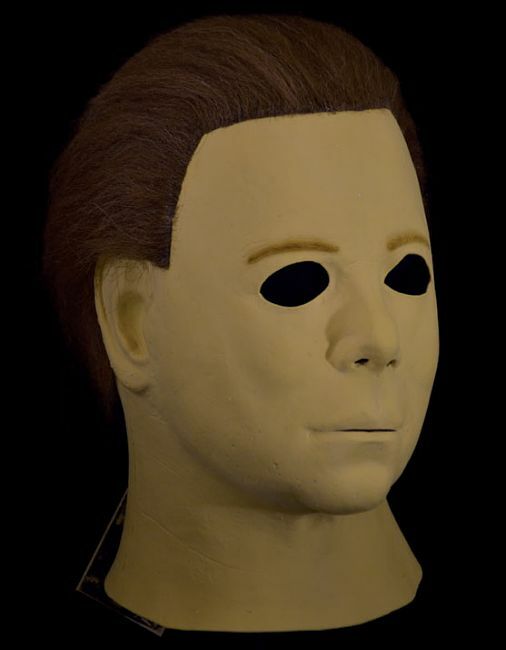 For some of us, the Michael Myers mask replica made by Don Post Studios beginning in the late 1980s was the first Michael Myers mask we obtained. 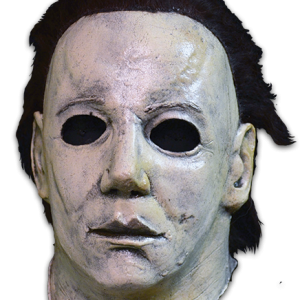 They were mass-produced masks and were prone to melting away. However, “The Mask” was cool nonetheless. 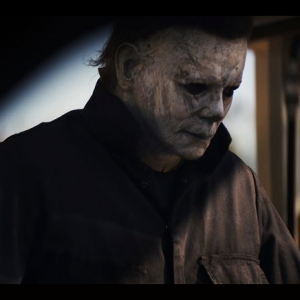 These days, there is a great deal of nostalgia attached to the DP The Mask. 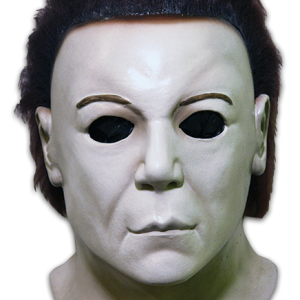 Independent mask maker Nightowl Productions has unveiled its latest Michael Myers mask. Death Mask is its name. 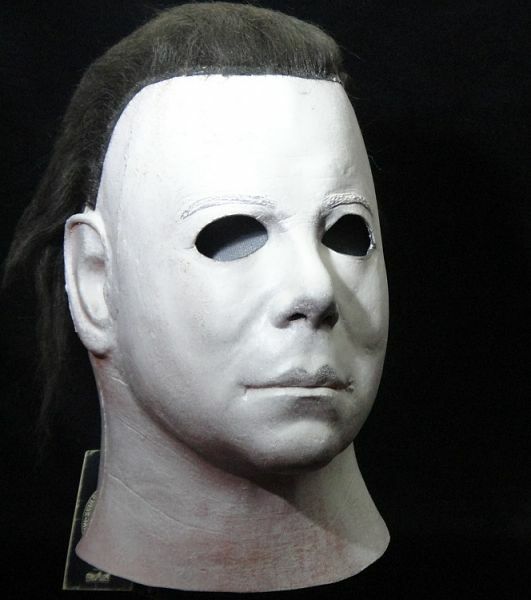 It is a new take on the Michael Myers mask that evokes elements of the DP The Mask and the Nightowl Creep. 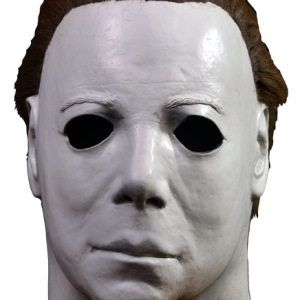 In essence, Death Mask is a throwback to the DP days that doesn’t seem outdated. 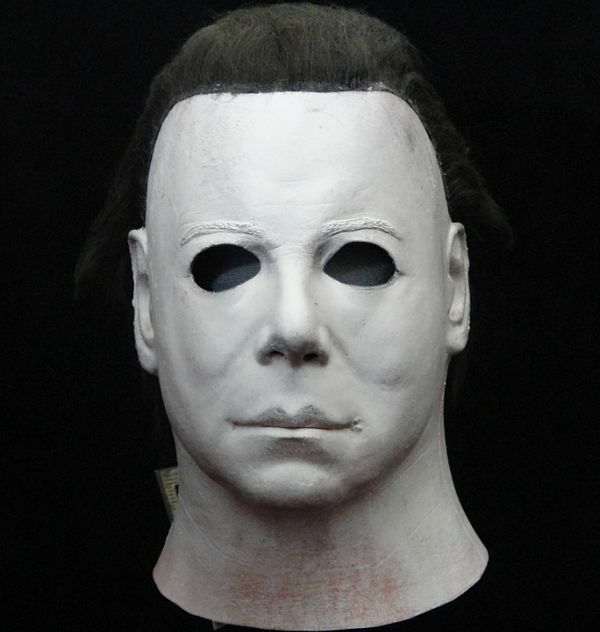 Rather, Death Mask is a contemporary looking mask. 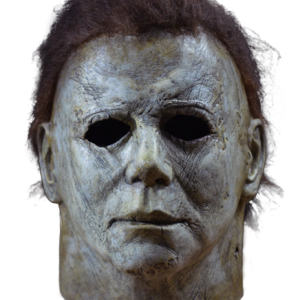 Death Mask was made available to the public at Mask-Fest 2012, which was held in Indianapolis between September 7th and 9th. 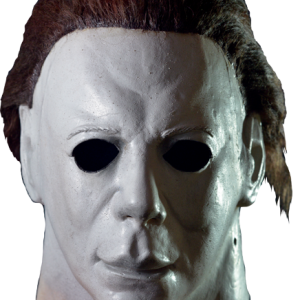 Forum members DoodleBug, badnewskruse and Haddonfieldkiller666 have picked up the first copies of this new mask. 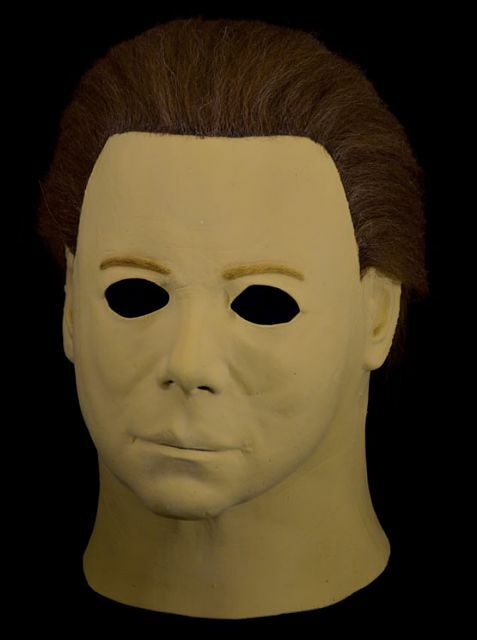 It’s evident from the photos that they’ve provided us with that Death Mask comes in several versions with different paint and hair colors. 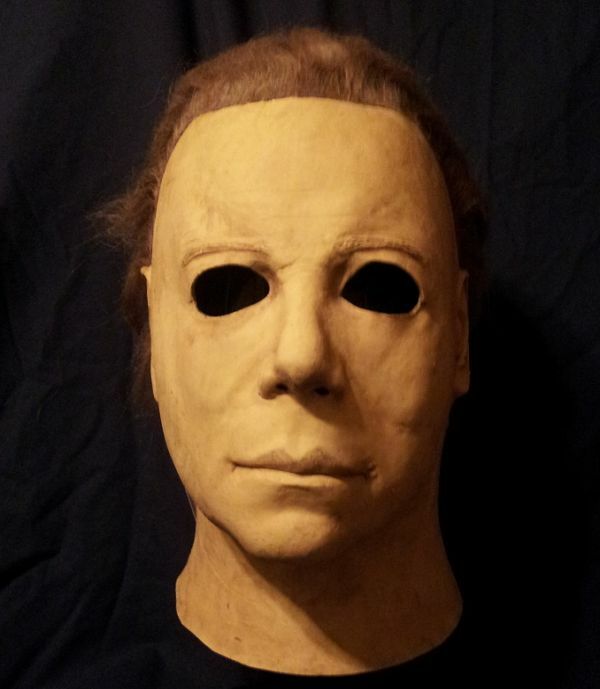 Doodlebug scored the Death Mask prototype. 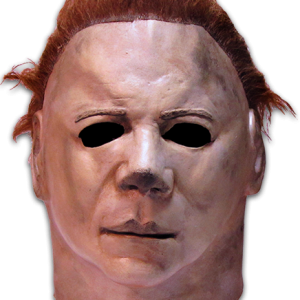 The hair is a tribute to the DP The Mask (minus the sideburns). 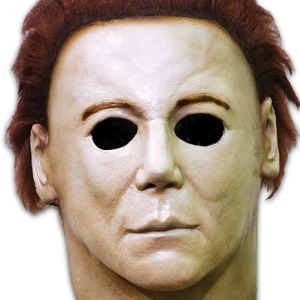 The eyebrows are colored in but the rest of the mask sports a uniform paint job. What a neat pick-up! 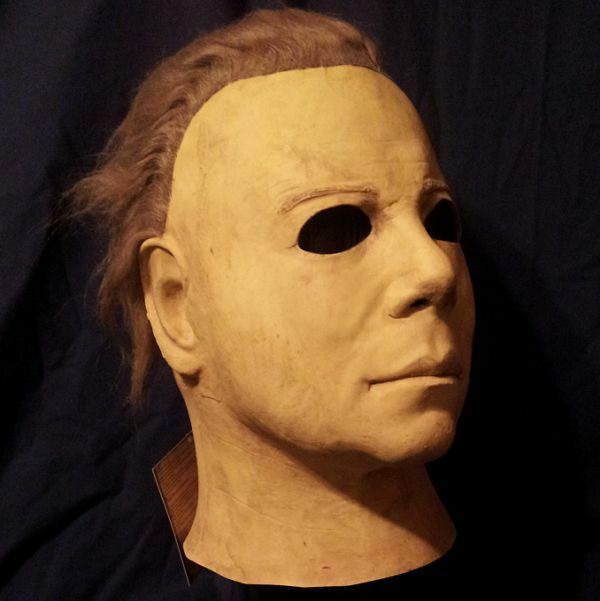 Haddonfieldkiller666 obtained a ghostly version of the Death Mask that features some flesh tones. Thanks to each member for their pics and thank you for looking! Lovely. Wish I could own all three.